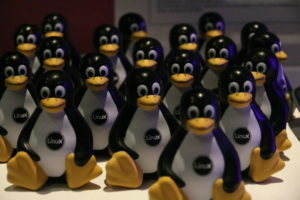 Here’s the original (short) reference to the Linux-User editorial with a paragraph about the sensational event. 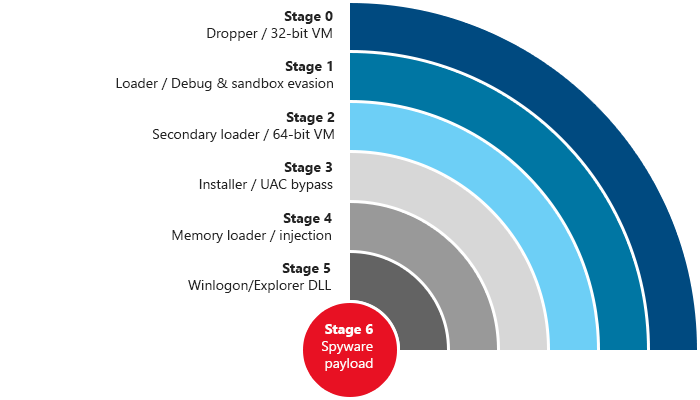 Microsoft and Finfisher: The end of the Bundestrojaner as we know it? A really good read this article is. And if you find the time, read this amazing work by Tora. This is a talk that I first gave as a workshop, together with my wonderfully skilled and experienced colleagues Jake Edge (LWN) and Deb Nicholson (OIN) during the 12. KDE Akademy in Tallinn, Estonia in 2012. Where then we did it as a full-day workshop, this video is from QtCon 2016, and it’s more a presentation of 1:00 hour. This is one of my favourite presentations and the one booked the most – I did it at SUSECON, openSUSE conference and SUSE Labs, too and for a variety of other hosts. This talk will tell, teach and train open source community members, company leaders, developers and open source project leads how to deal with the press. 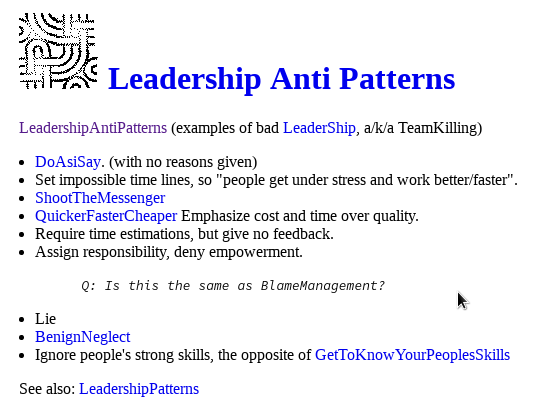 Leadership Anti Patterns are a special variant of Antipatterns. 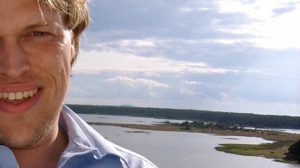 They are dangerous, they kill productivity and they very often come together with Crocodile Management (Link is German), Mushroom or Bulldozer Management (a new manager comes in and guess what he does first?). You might also like to read about Leadership Behaviour patterns … but that’s Harvard Business School… or Antipatterns in Project Management. 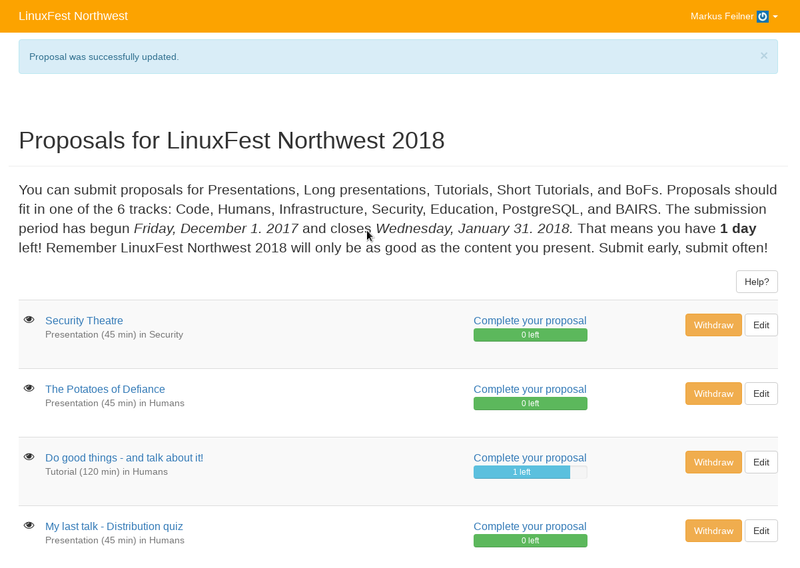 Call for papers for LinuxFest Northwest 2018 ending soon… I will be there – will you? Documentation is team work, yes – but can you do it collaboratively? Yes, but not in collaborative editing. Git is your friend, a good workflow needs to be chosen, and then everyone on your team may choose the editor he loves. Etherpad, Google Docs and such are tools for short texts, but not for professional editing. 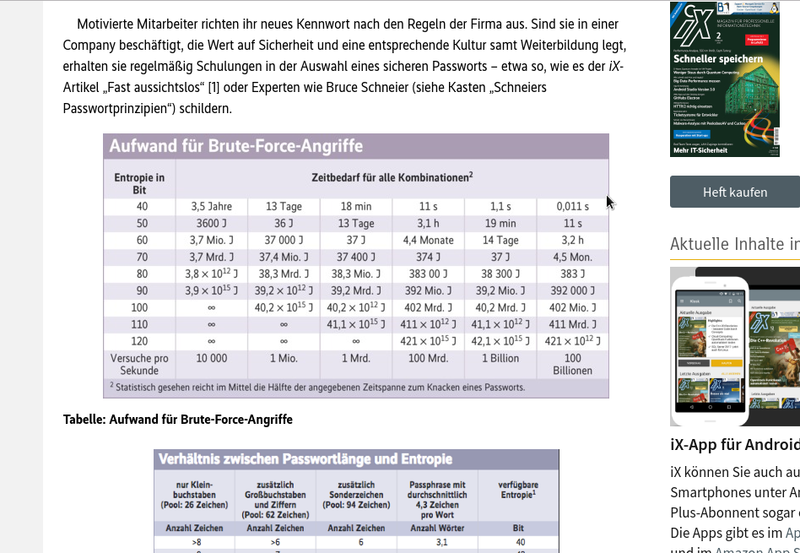 In this article for Linux Magazine Germany I explain how we work at SUSE. Darknet demystified – The Limits of Anonymity. The error is on OSI Layer 8, and even the best technology won’t help you if you use it wrong. In this article about the Darknet (Heise I’X, in German) I demystify many “given” assumptions. No NSA, no police, nobody needs to crack your cryptography if you do the same silly mistakes like so many others before you. 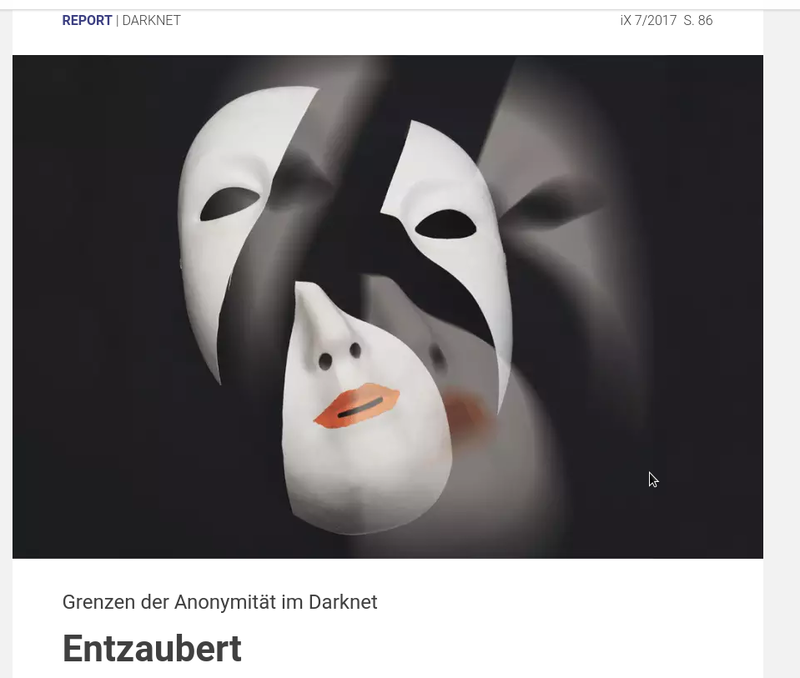 Update: Early in February I was interviewed by Radio Berlin Brandenburg about the my opinion on the darknet. 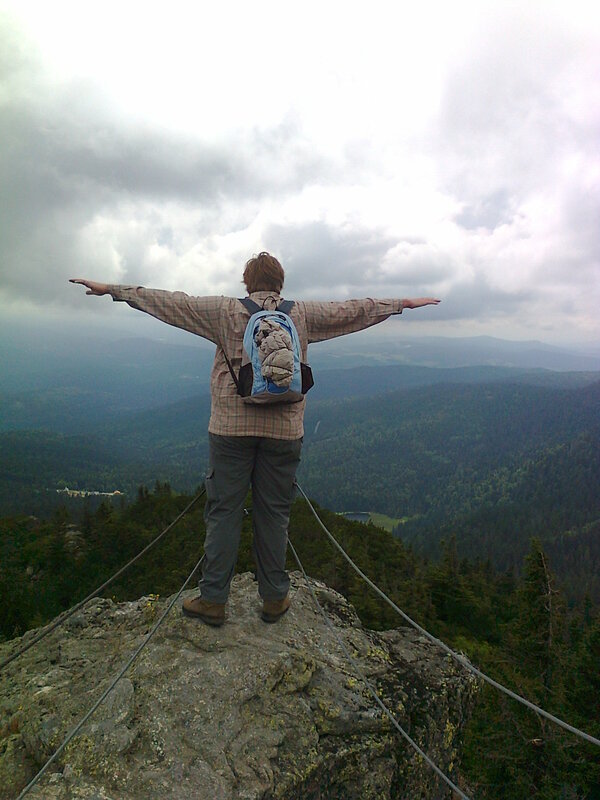 Wechselwahn – why it does not make sense to enforce recurrent password changes.